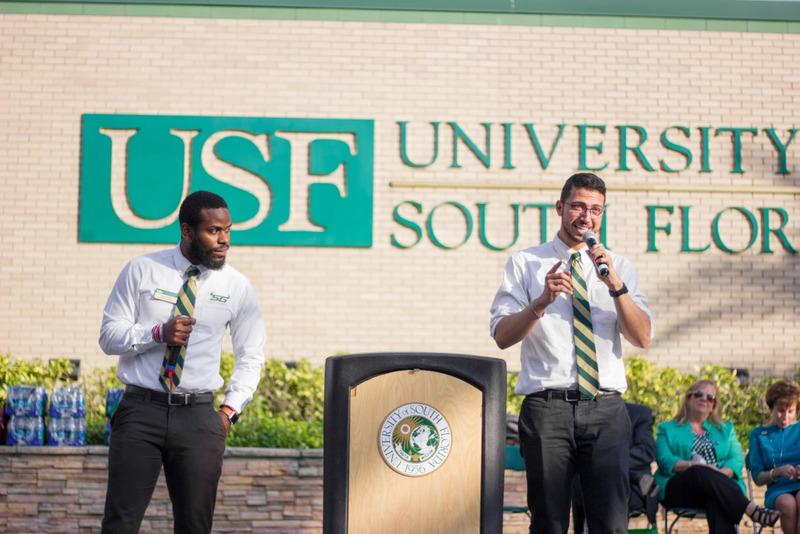 Residential students are voicing their concerns about the crosswalk on USF Palm Drive between the Federal Credit Union (CRU) and The Village. 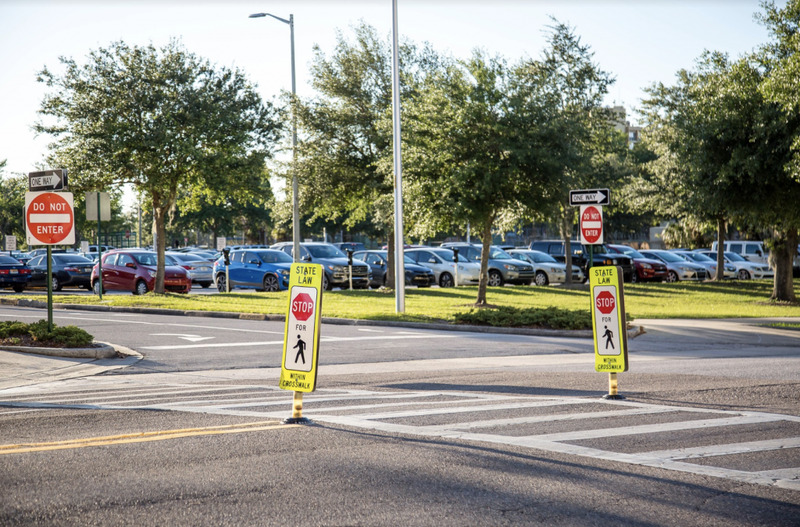 Though there is a sign in the middle of the crosswalk telling drivers to stop for pedestrians, some students feel it is not enough. 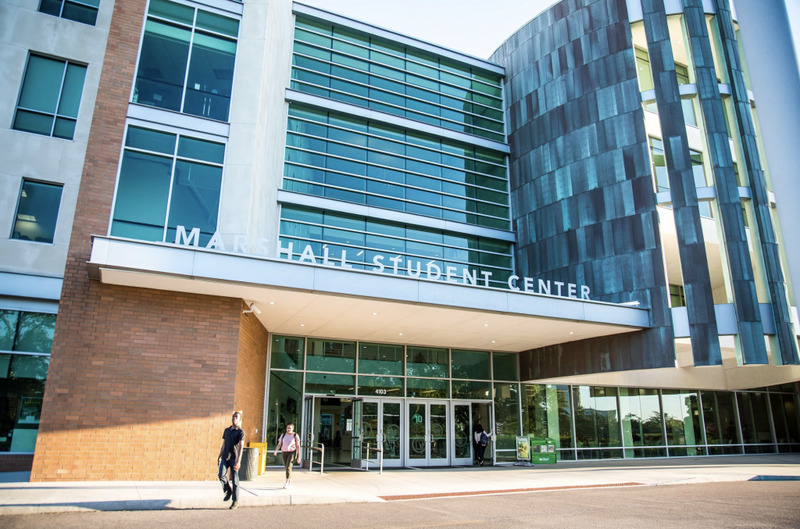 When the topic of the crosswalk arose during the open forum discussion of Endeavor Hall’s council meeting Feb. 13, the council felt it was necessary to address the issue by drafting a petition. Pedestrians use the crosswalk on their way to class or to reach their cars in the CRU’s lot and Lot 20. The newly built Publix has also increased foot traffic near USF Palm Drive. 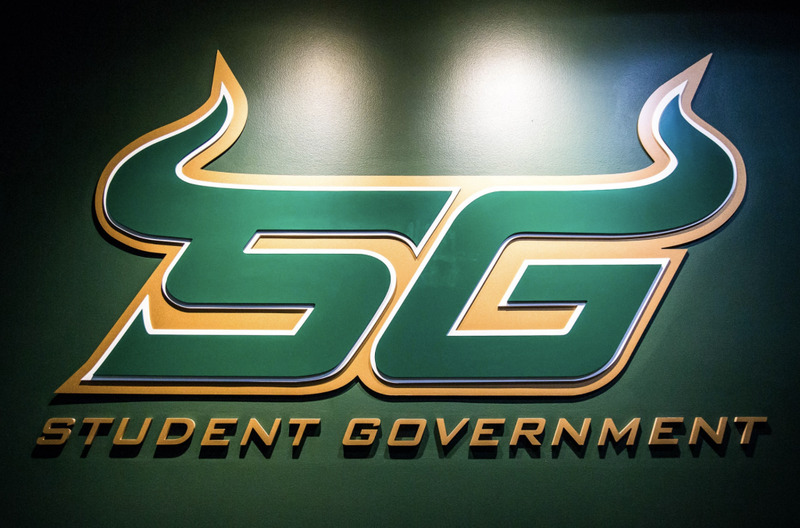 Endeavor Hall’s Council started writing the petition Feb. 27 and asked members to sign. 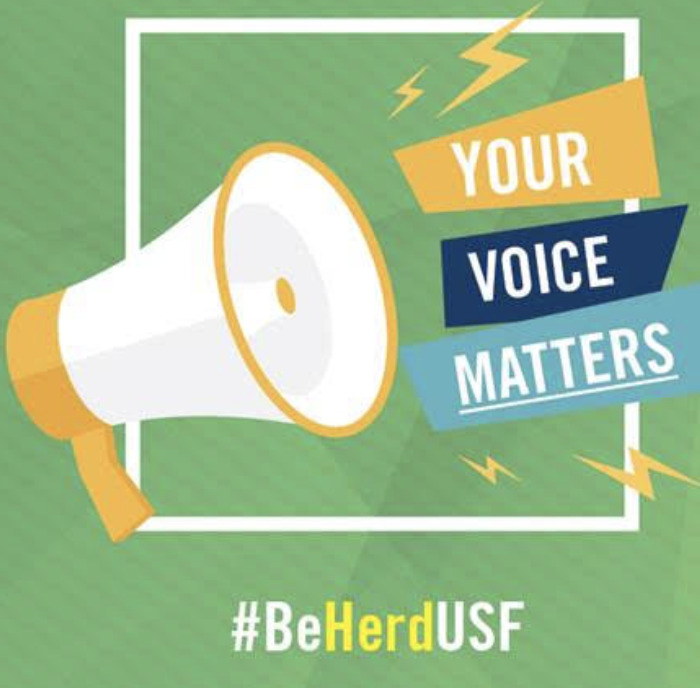 According to Governor of Endeavor Hall Megan Mascheri, the petition was presented to hall representatives and then sent to the USF Environmental Health & Safety Department (EHS) on April 9. In the past, University Police (UP) provided an educational program on pedestrian, bicyclist and motorist safety, but a lack of funding ended such efforts. “Although we no longer have a grant to provide this education, our officers continue to address violation of crosswalks, right of ways, bicyclists and pedestrian safety through education and enforcement,” said UP spokeswoman Audrey Clarke. Though UP has attempted to prevent crosswalk violations and potential incidents, accidents are still prevalent around residential areas. According to a compiled pedestrian-related accident report from UP, during the 2017-18 school year, there were nine reported accidents resulting in 10 injuries near Holly and The Village. In the 2018-19, there has been one accident with one injury and zero fatalities near the residential area. Drivers like Stephanie Eskridge, a sophomore majoring in cybersecurity, point to the post’s size as being an issue. “In an SUV or truck, that (stop) sign is so small and low to the ground that if you didn’t already know it was there you wouldn’t see it,” Eskridge said. Matthew Skelton, a freshman majoring in computer science, said it is a problem for drivers when pedestrians don’t pay attention when they cross. Endeavor Council member Catherin Munguia said carelessness from some drivers is connected to the close proximity of a traffic light to the crosswalk. “The small post serves as a heads up that people have the right of way, but it doesn’t stop cars from speeding to catch the light,” Munguia said. Mascheri has had her fair share of “close calls” at the crosswalk and said she is used to hearing of pedestrian-related accidents at not only this particular crossing, but also at other ones around campus. Mascheri said she received a response from William Land, the Director of EHS, on April 12. Land said multiple crosswalks around campus were being observed for safety hazards –– including the crosswalk at the CRU. He further explained that concerns brought up in the petition would be evaluated and help further the search for a solution. Mascheri and Endeavor Hall’s Council said this is the first step in providing a safer experience on campus for pedestrians and drivers.